The Eastern Curlew is the largest wader by size and weight, with the female measuring up to 66 cm (being a little larger than the male). 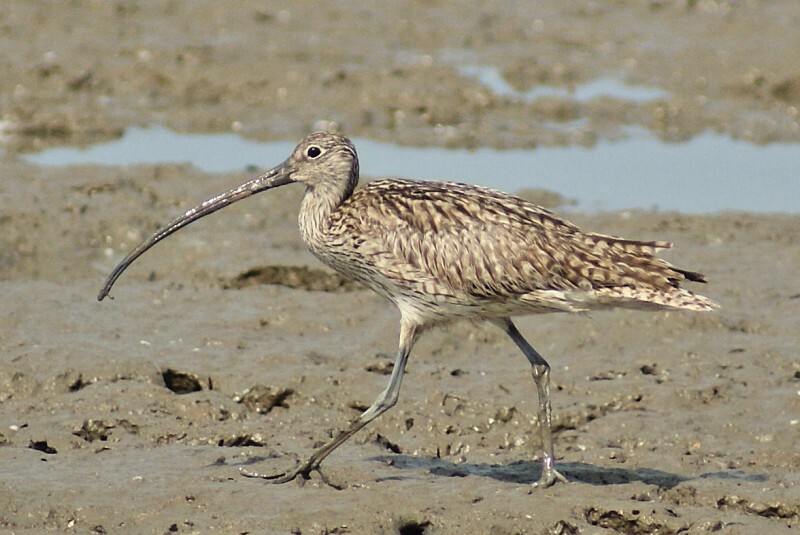 They use their long bills (the longest of any wader) to search for worms and molluscs in mud or sand beaches. They are also migratory, breeding in northern Asia and flying to Australia in the southern summer. 1: Cairns Esplanade, Qld, 16/10/2011.